What Wagner and X-Factor can tell us about Marketing! Wagner - X Factor, My Hero! Every week (and not by choice I promise you – I blame Dee!) 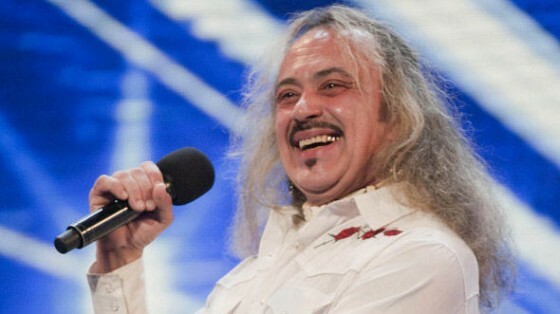 I watch X Factor along with half the country and we all wonder how Wagner is still in the competition. I am writing this as I am watching the programme on Saturday, 6th November 2010.. I keep banging on to the crew in Fuzion that no matter how bad he is he will still not get voted out, at least not for a while yet. I threatened to write a blog about it, before he does actually get voted (Mary Quille warned me that I should get my blog written sooner than later!) out so here goes, while my theory is still valid!! My simple theory is .. If you are not capable of being the best, it is better to be totally different, offer something that no one else is offering than being one of the many. The thing is there are one or two really good acts on the show who compete at the top of the tree for the votes but after that there are a whole bunch of “me-too’s’’ battling it out for the same votes. Wagner appeals to a niche, admittedly I am struggling as to who they are but there are clearly more of them than those voting for the “me-too’s”. Seth Godin talks about the importance of being different to succeed, The Purple Cow, this year in X Factor it is Wagner, last year it was Jedward. Are you totally exceptional at what you do, are you a ”me- too” or are you a Wagner? This entry was posted on November 6, 2010 at 9:01 pm and is filed under Entertainment, Marketing, PR. You can follow any responses to this entry through the RSS 2.0 feed. You can leave a response, or trackback from your own site. was thinking the same myself – but you word things exactly the right way! excellent observation – go Wagner! I am definitely loving him now Natasha! Interesting views Greg, but this is apart of the “Wagner to win” campaign which has been set up in facebook to get annoy Simon Cowell and make a mockery of his show. Just like last year when the scuppered Joe McElderry having a xMas number 1. You can following the campaign on facebook. If it suceeds this will probably be the last year of X Factor. Interesting, I must have a peep at that .. I do think there are a few factors including him being different, entertaining and having a big likeability factor. Lets see what happens next week!! Spot on Greg. It’s a really good point in any market context, although to stay in a market one has to have a bit of quality as well… but as a point of entry, and a point of establishment, different is definitely good. I can’t believe I am blogging about X-Factor!! I agree with you totally but sometimes you see players in a sector where quirky, unfinished, dirty, and even rudeness don’t seem to affect survival! Hmmm, I think in this day – dirty and rude will get its come uppance. I agree , hopefully … The “lo-care” airline is an example !! Great analysis Greg, Wagner definitely proves the theorey : if you can’t be the best, then be different. It will certainly get people taking about you. I think we’ll be talking about Wagner for another few weeks yet! Feckin’ brilliant article. I’ve forced two people at gunpoint to read it and re-tweeted it.